According to a new set of theories, the first Europeans to discover Australia might have been Portuguese adventurers. A map of the XVI century stored in the archives of a library in Los Angeles is the ultimate proof that Portuguese adventurers, not British or Dutch, were the first Europeans to discover Australia, according to a new book which details the secret discovery of the country. 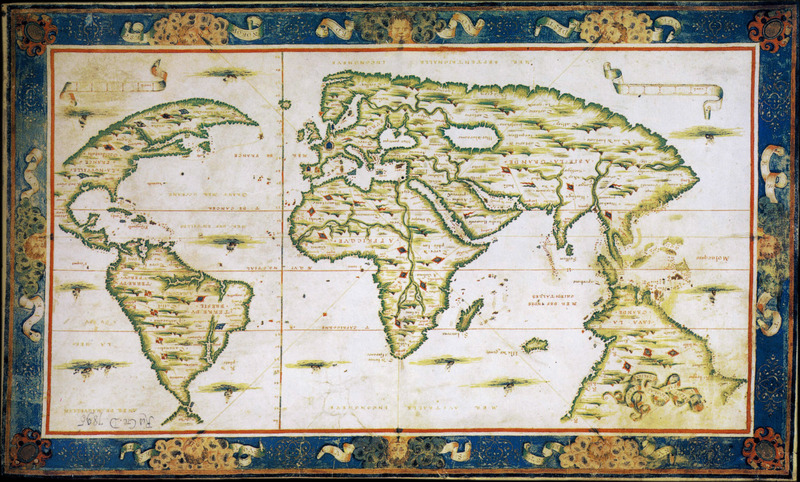 During the mid-1500s, Dieppe mapmakers drew intricate hand-made world maps for wealthy royals. The French artists turned navigational charts into incredible pieces of art, leaving the actual exploration to explorers, they translated utilitarian nautical charts into things that wealthy people would appreciate and pay for, with fancy artwork and extremely detailed illustrations, many people considered them valuable pieces of art rather than functional navigational charts, but, most importantly, their information must have originated from somewhere. The maps were beautifully rendered even thou their exact cartographical source remains a profound mystery, feared to have been lost in time. The most important detail in these maps is a giant landmass dubbed as „Java La Grande“, drawn between Antarctica and what modern-day charts would identify as Indonesia. Now, several researchers have proposed that this mysterious ‘Island’ is, in fact, the first recorded sighting of Australia by European explorers. Kenneth McIntyre’s 1977 book, The Secret Discovery of Australia, suggests that the Dieppe mapmakers were, in fact, getting their view of the world from Portuguese expeditions. One of those creations, in particular, depicts the east cost of the mysterious Java la Grande with place names almost exclusively to Portuguese. These details have led many to suggest that, given the vagaries of the Dieppe map source ( Partially French, mostly Portuguese) it was the Portuguese, who were the first Europeans to spy the Australian coast. Researchers stress that in addition to the nearly exact geographical location of Java la Grande on the Dieppe maps, there are other features which are unmistakable specific locations of modern Australia, backing up the theory that the Portuguese were the first to discover the continent. These unmistakable details are an inlet that looks just like Botany Bay and the Abrolhos island chain. In the Book “Beyond Capricorn” the author claims that the map, which accurately marks geographical features of Australia’s east coast in Portuguese, proves that Portuguese seafarer Christopher de Mendonca led a fleet of four ships which arrived at Botany Bay in 1522, nearly 250 years before Britain’s Captain James Cook. 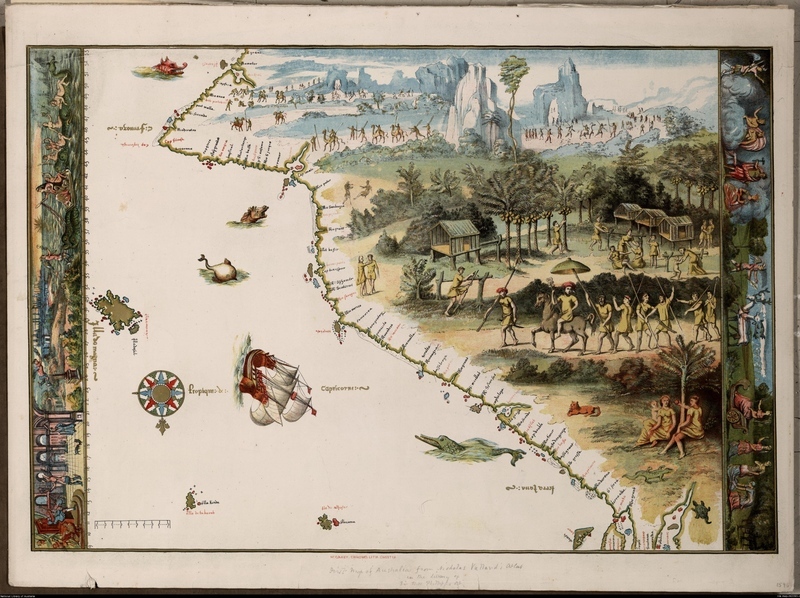 In addition to the above-mentioned maps, there are more details which undoubtedly suggest the Portuguese were the first to discover Australia. 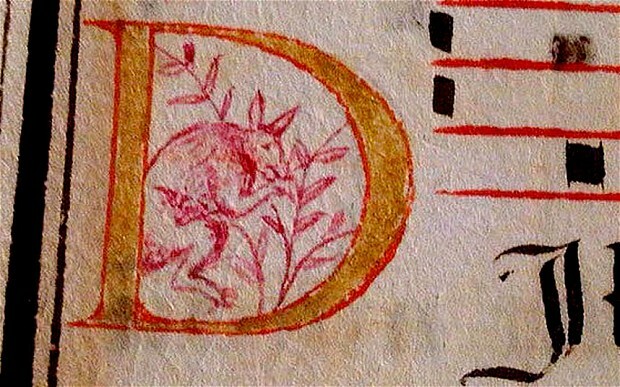 An intricate drawing of a kangaroo on a 16th-century Portuguese manuscript is another crucial piece of evidence that has led many researchers to believe the Portuguese were the first to sail to Australia. The manuscript, which is thought to date from between 1580 and 1620, appears to show a small kangaroo within the letters of its text. According to an article written by telegraph.co.uk, the document, which contains text or music for a liturgical procession, was recently acquired by the Les Enluminures Galley in New York, which has valued the item at $15,000 (£9,174). It was previously in the possession of a rare book dealer in Portugal.